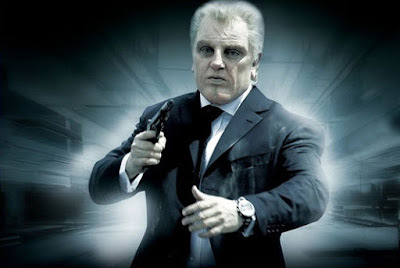 The film Dasavatharam revolved around Ex- CIA agent Christian Fletcher following Govind, attempting to seize the vial containing bio-chem. Keith William Robert Fletcher was a prolific scorer for England and remember him touring India under Tony Greig and earlier. Have heard of Duncan Fletcher too – have not seen Andre before, was impressed by his exploits at Bangalore. Andre David Stephon Fletcher- is one of a crop of young batsmen West Indies have tested recently by throwing them into international cricket without vast first-class experience. The International Cricket Council (ICC) on Saturday announced that independent assessments have found the bowling actions of Bangladesh’s Arafat Sunny and Taskin Ahmed to be illegal and, as such, both the bowlers have been suspended from bowling in international cricket with immediate effect – that has caused outrage in neighbouring Bangladesh. Someone tweeted : ‘the patriotic days’ – Indian Independence Day, Indian Republic Day and Indo-Pak Cricket match day….. !! At a venue nearer, at Kolkatta, Virat Kohli shrugged off the pressure that always surrounds an India-Pakistan match to secure a campaign-reviving six-wicket victory. The 27-year-old made batting look ridiculously easy on a difficult track and his scintillating unbeaten 55 was the difference between the sides in a rain-hit game reduced to 18 overs per team. A couple of weeks ago there was this story about England Women being flown out to the World T20 in India in cattle class, while the men's team travelled in business class. They were not alone. It is the ICC that arranges and funds flights for world tournaments; all other women's teams - bar Australia, who were upgraded to Premium Economy by CA - also flew to the tournament in economy. Not many cared to read that …. Back home in Gayle's IPL hometown, the large crowd grew anxious. An upset had been smelt. They came to see another ballistic hundred, just like the one their hero had blitzed against England at the Wankhede, but Sri Lanka were working up the momentum to deny them. 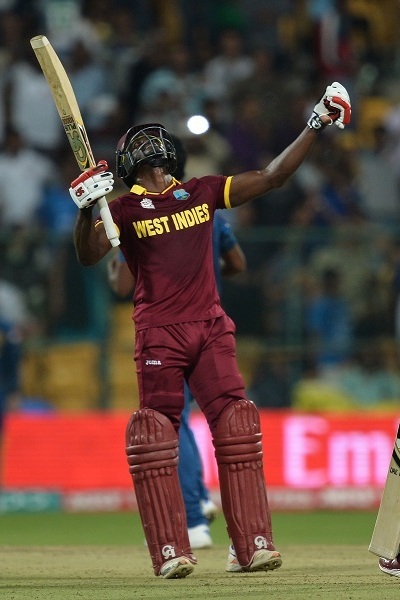 How could Gayle hit a hundred, after all, if Sri Lanka didn't get to triple figures as a team? In Badree's final over, another crucial blow was dealt. Milinda Siriwardana edged the ball to Gayle at slip, and made him stretch - perhaps just enough to prime that left hamstring for minor injury. Soon enough, Gayle was forced off the field when he felt a strain in the back of his thigh. Having been off the field for a significant period of the first innings, Gayle was not allowed to come in to bat until the time had elapsed, or until West Indies had lost five wickets. A hostile Chinnaswamy crowd began to demand his presence, roaring, "we want Gayle, we want Gayle", yet in the face of all of this, Sri Lanka reached deep to find what it took to deny them. Chamara Kapugedara came off the boundary like a cyclone when a Johnson Charles mishit sailed towards him in the fourth over. But instead of catching the ball, he chest-bumped it back most of the way towards the pitch. A frustrated Gayle came padded up to the dressing room balcony, and the fans pined loudly for him. But even after he became eligible to bat, Sri Lanka's defiance did not relent. A top edge off Andre Fletcher's bat seemed to be descending into Nuwan Kulasekara's hands at third man in the 18th over, but the ball leapt joyfully out of the closing bear trap, and vaulted over his right shoulder, like a prisoner over a chain link fence. The whole thing was so theatrical. Never let it be said that Sri Lanka no longer play their cricket with style. The umpires too, lent Sri Lanka a hand in their endeavours. Two out-and-out dismissals were denied by poor officiating, helping keep Gayle off the field. At one stage, the fourth umpire was seen dragging Gayle back towards the dressing room. The match was about Andre Fletcher playing some fine shots, some chances and returning a winner. There is another trouble brewing at Delhi. It is understood that both the ICC and BCCI are worried that the DDCA is being forced to not allow ticket sales to the RP Mehra Block, which was the old club house at the Feroz Shah Kotla, meaning nearly 1800 seats will be empty. There is also the concern that no hoardings are allowed to be displayed in front of the stands. Those restrictions were put in place by the DelhI High Court recently while issuing clearances for the DDCA to host World T20 matches. A final decision is likely to be reached in the next day or two, with the ICC and BCCI also discussing alternate venues to host the game. "Because of the order of the court no ticket can be sold. It is embarrassing to have an empty stadium particularly when you are hosting a global tournament and all the world is watching you," the official said. Another stumbling block for the BCCI and ICC is the fate of the other games in Delhi, should the semi-final be shifted. ~ and here is the reaction in Pakistan as cited from Dawn. ‘We hate Afridi now, but we think we can beat India’. That was the Snapchat explanation of Pakistan cricket right before their match against India. No fans love like Pakistan, no fans hate like Pakistan. If that isn’t special enough, it’s the ability to do both at once, for prolonged periods of time, while changing what it is you love and hate, and still feeling as passionate as you did the first time, that is truly staggering. Being a fan of Pakistani cricket is like doing moral gymnastics. Then there is Shahid Afridi, who is praised for things he has yet to do, screamed at for things he simply cannot do, and yet again, often at the same time. His captaincy in the India game was hard to support. If Afridi was a golfer (think Happy Gilmore but with more energy) he would have left most of his clubs in his bag this round. How you could see that pitch, or the game two nights earlier, and think you need four seam bowlers? That is not to say the pitch was easy to play seamers on, it’s just that four, four, did they mistake the wicket for the WACA? In their minds had they travelled back to Sabina Park in 1976? He started around the wicket to the left handers on a pitch that was spinning like a drunk ballerina. One ball spun so far Sarfraz Ahmed had to dive just to take it. From over the wicket, he would have been like an unplayable monster of doom, from around the wicket, he was bowling wides. He kept it tight, he bowled ok later on, but he was the only bowler he used all four overs of. He didn’t bowl out his number one strike bowler who’d returned from exile like a man trying to make up for all his past wrongdoings and went for 11 runs in three overs. He didn’t bowl out his enforcer who has the ability in two balls to put a dent in any batting order. Nor the man who took two wickets in an over that made India dream of past failures. It’s not that Afridi doesn’t read the game well, you cannot play for this long and have a poor understanding of cricket. But understanding cricket is just one thing that a captain has to do. In T20 you have 240 balls. 240 decisions. Any of those 240 balls can result in a loss. So why would you trust that position to a man whose USP is hilarious errors of judgement . It’s part of his DNA, his charm, his raison d’etre. It’s like walking into a Lion’s cage and expecting him not to eat you. By definition, Afridi makes mistakes. The weird thing is, the Pakistani thing is, coming into this game, knowing all of that, living with all of that, Pakistani fans still thought about a win. That first win against India in a major tournament. In India. Against MS and Virat. Perhaps the thought came more from how bad India were last game, rather than how good Pakistan was.